Financial exclusion is a global issue with an estimated 1.7 billion adults currently ‘unbanked’ . Experian’s core mission is to help bring financial inclusion to every adult in the world. There are currently millions of ‘thin file’ consumers and SMEs in sub-Saharan Africa. These are consumers with limited information on a traditional credit bureau or have no information at all, so-called ‘invisibles’, who find themselves excluded from mainstream finance. They often face more difficulty – or higher costs – when applying for financial products or services. That’s why we are proud to announce today the launch of a ground-breaking new smartphone app, GeleZAR, in South Africa, which aims to bring more micro-entrepreneurs into the mainstream economy and ensure they get the credit score they deserve.. Using the expertise of our global innovation hubs, we have developed a unique financial education and credit scoring mobile app. GeleZAR is designed to educate entrepreneurs and individuals on how to manage their finances, budget and credit score in a fun, entertaining and digestible way. It can also advise individuals on how to maintain a good credit health and recommends remedial actions where needed. In partnership with a local South African consumer and fintech developer, Experian designed the app specifically for entry-level smartphones. We are also working with one of the largest low-cost mobile phone retailers in Africa to trial the app which has been pre-installed on a range of its entry-level smartphones.. The intention is to extend the rollout and make the app accessible for free on more than six million devices annually. Working with alternative data that an individual user consents to share on the app, GeleZAR will be able to assess an individual’s stability, build a credit profile and potentially improve their credit score. This in turn could enable them to access a broader range of financial products at more affordable interest rates. This is a great example of how Experian is innovating to find new ways to empower our customers while uplifting societies. It also fulfils our passion for financial inclusion and the accurate assessment of affordability. 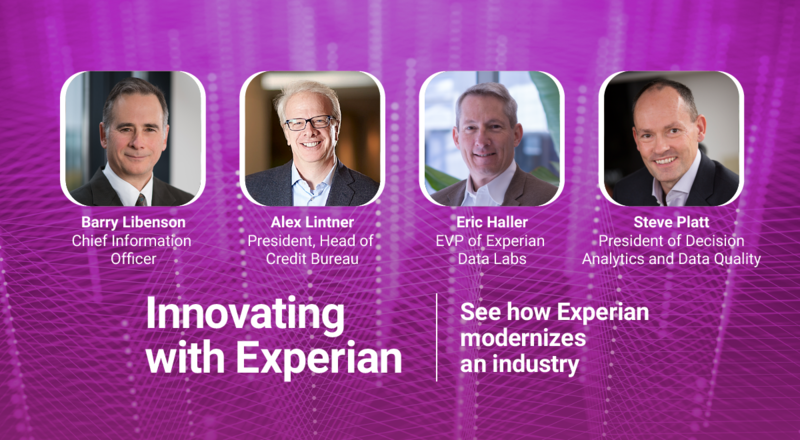 Experian’s cutting edge technological capabilities enable us to use the power of data to transform lives, businesses and economies for the better. Through our pioneering work in this space we hope to help consumers around the world on their credit journey. GeleZAR is just one of the ways we are delivering on our mission to build and improve the credit files of millions of people in South Africa and beyond.